Children born in this period may instead have a Child Trust Fund. This was the predecessor to the Junior ISA and it operates on similar principles. You are still allowed to save or invest £3,600 per year and the money is locked away until the child is eighteen years old just as with a Junior ISA. So what’s the difference I hear you ask? It is estimated that around 6 million children in the UK are trapped in Child Trust Funds (CTFs) or even if they never had a CTF, are unable to benefit from a Junior ISA. This is a problem because of the gulf between the interest rates on offer for CTFs and those on offer for Junior ISAs. The best rate available for a Junior ISA is at the time writing 6%, compared with just 2.65% for the best paying CTF. What this means is that if you were to save the full allowance of £3,600 per year for 18 years in a Child Trust Fund your child would be almost £34,000 worse off than if you were able to put the same amount into a Junior ISA. Why is this the case? As soon as the Junior ISA was introduced the CTF started to be come obsolete. Banks do not need to offer great rates since essentially the cash is trapped until the child reaches 18. There is already much less choice available and this is likely to get worse as time goes on. The idea that a child should be penalised simply for being born at the wrong time seems completely at odds with a modern democratic society. The Treasury says that both systems are equal since the same amounts can be saved tax free under both systems but this does not address the obvious difference in returns. 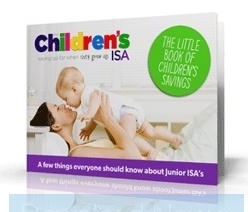 The Treasury argues that to open up the Junior ISA to all children would require a change in legislation. This is presumably true, but is hardly a valid excuse. Is it not a core function of Parliament to legislate? Take a look at legislation.gov.uk, the Government website which contains current legislation. Just search for 2011 to see how many different pieces of legislation were created last year and you will see that one more would be a drop in the ocean. Even if changing this particular law would be a great chore, is it not incumbent on the Government to do so anyway, assuming it accepts that not to make the Junior ISA available to all in the first place was a mistake? The obvious if slightly cynical inference here is that the intention was to deter as many of the 6 million frozen out of the Junior ISA as possible from taking advantage of any tax free savings. This entry was posted in Child Trust Fund, Junior ISA dates, Junior ISA Savings. Bookmark the permalink.